The International Air Transport Association (IATA) released data for global air freight markets showing that demand, measured in freight ton kilometers (FTKs), rose 6.8% in November 2016 compared to the year-earlier period. Growth in freight capacity, measured in available freight ton kilometers (AFTKs), slowed to 4.4% November. The uptick in freight growth coincides with an increase in the shipment of silicon materials typically used in high-value consumer electronics shipped by air and an apparent turnaround in new export orders. A modal shift to air cargo following the collapse of the Hanjin Shipping Company in August may have also contributed. 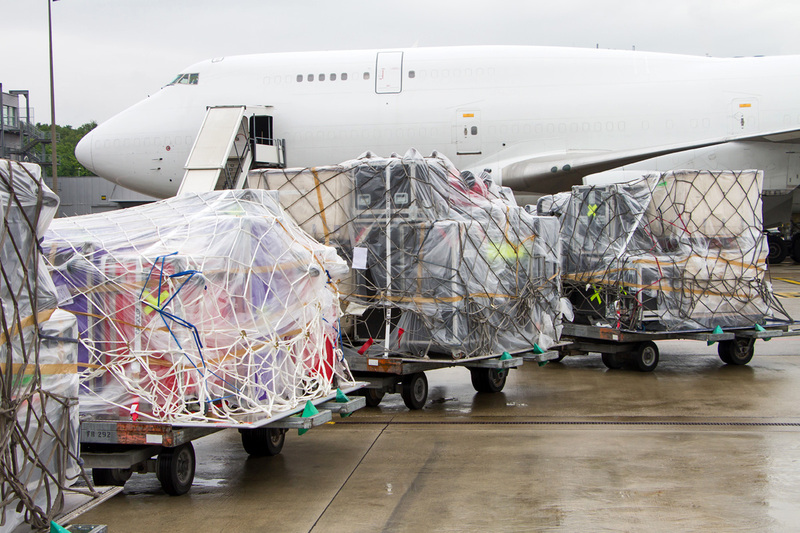 “Air cargo enjoyed a strong peak season in November. And there are encouraging signs that this growth will continue into 2017, particularly with the shipment of high-value consumer electronics and their component parts. But, the trend in world trade is still stagnant. So it remains critically important for the air cargo industry to continue to improve its value offering by implementing modern customer-centric processes,” said Alexandre de Juniac, IATA’s Director General, and CEO. Airlines in all regions except Latin America reported an increase in year-on-year demand in November. Asia-Pacific airlines saw demand in freight volumes grow 6.1% in November 2016 compared to the same period in 2015 and capacity grew by 4.0%. Seasonally-adjusted volumes are now back to the levels reached in 2010 during the post-global financial crisis bounce-back. The increase in demand is captured in the positive outlook from business surveys in the region. North American carriers’ freight volumes expanded 5.6% in November 2016 compared to the same period a year earlier, and capacity increased by 2.6%. Freight traffic across the Atlantic continued to strengthen, increasing by 9.0% in October. This is being driven in part by an increase in westbound import flows from Europe to the US helped by a strong dollar. However, US exports continue to suffer from the strength of the US dollar. European airlines posted a 9.0% year-on-year increase in freight demand in November. This was a slight slowdown compared to the 13.3% growth recorded in October, possibly attributable in part to the strike at Lufthansa. Notwithstanding this, the seasonally-adjusted growth trend is strong and corresponds with the sustained increase in export orders in Germany over the last few months and the ongoing weakness in the Euro. Capacity in the region increased by 4.8%. Middle Eastern carriers enjoyed a boost in demand from the strong peak season with freight volumes increasing by 7.8% in November 2016, year-on-year. Seasonally-adjusted growth has slowed, however, mainly due to weak freight volumes between the Middle East and Asia, and the Middle East and Europe. Freight volumes grew by just 4% on these routes in the January-October 2016 period, compared with 8-11% over the same period in 2015. Capacity in the region increased by 5.1% in November. Latin American airlines experienced a demand contraction of 1.3% in November 2016, compared to the same period last year. However, in seasonally-adjusted terms, growth levels are in-line with where they were at the start of 2016. The region continues to be blighted by weak economic and political conditions, particularly in the largest economy, Brazil. The ‘within South America’ market has been the weakest performer to date with volumes down nearly 20% compared to the same period in 2015. Capacity in the region decreased by 1.6% in November. African carriers’ posted the largest increase in freight demand among the regions in November, 10.9% year-on-year, and the seasonally-adjusted growth remains strong. However, capacity surged by 26.9% on the back of long-haul expansion, particularly by Ethiopian Airlines, and this caused the freight load factor to fall in annual terms for the 19th consecutive month.